With approval from the Supervisory Board, groundwork for the 2018 Access to Seeds Index is underway. 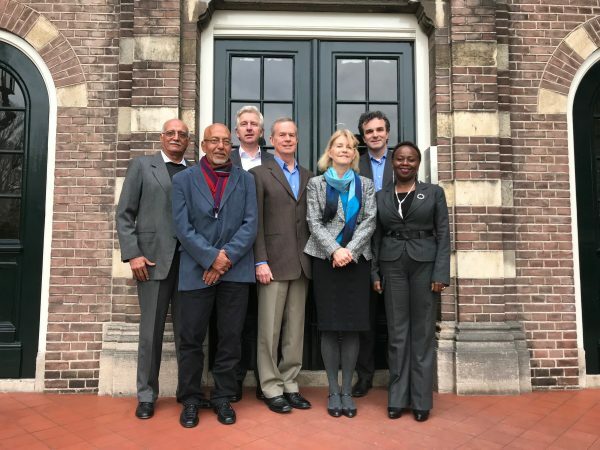 On December 6, the Supervisory Board Meeting convened in Amsterdam to finalize the methodology for the 2018 Access to Seeds Index and approve its operational plan. After extensive stakeholder feedback, the Board had no further changes to recommend in updating the 2018 Methodology, providing the ‘go ahead’ for its publication next year. The Supervisory Board also approved the Foundation’s plan to expand the regional index scope to West and Central Africa and South and Southeast Asia, thereby more than doubling the companies represented in the 2018 Index from 25 to 60. The Foundation is making plans to create a separate study on farmer cooperatives after the regional expert review committee in Abidjan, Côte d’Ivoire, and a separate study on vegetable seed companies. Further, Access to Seeds Index is working in partnership with the World Benchmarking Alliance (WBA). The WBA is a recently launched independent institution, which measures and compares the performance of companies across multiple sectors on the Sustainable Development Goals. For more information on the WBA, you can visit their website here.